This coloured weekly pill container has four slots per day for tablet managment over a complete week, labeled in clear text and braille. It is ideal for those who take a number of tablets at regular intervals each day. Days are split into morning, noon, afternoon and evening. 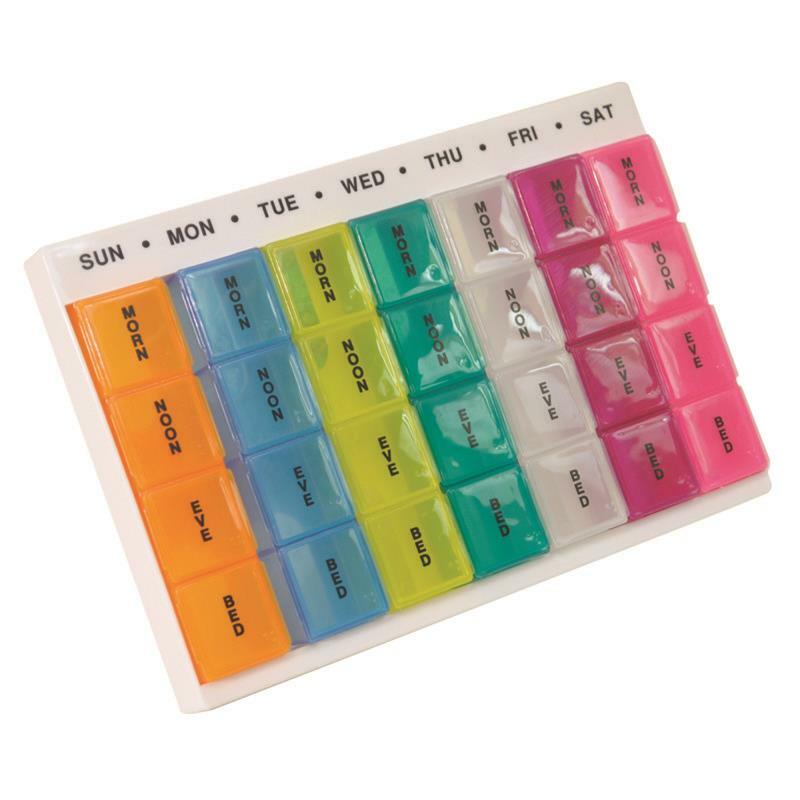 the sections are removeable for each day and have flip top lids. Each day of the week is a different colour to allow clear identification for those with a visual impairment.